St. Helens High School senior Taylor Dow was selected as the Elks Teen of the Month for November. Dow was selected for the recognition based on her accomplishments in school, as well as her willingness to contribute to activities outside of school. 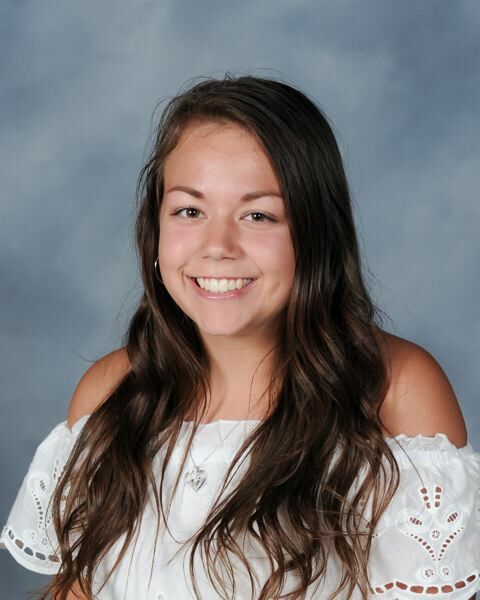 Dow was nominated for the recognition by school staff who described her as an "amazing student, person and ambassador for St. Helens High School and the community of St. Helens," a press release from the high school states. Staff at the school recall instances when Dow would go above and beyond her school assignments. One example cited was in a classroom simulation of a political campaign in which Dow made signs, buttons and t-shirts with her group, activities that were not required. When Dow was notified that she had been selected for the award, she said she was "honored, loves her school and community and that (it) makes someone feel good about what they are doing when they get recognized," the press release stated. Dow also plays softball for the St. Helens High and was chosen for all-league, made the first team at all-state, and was named the Northwest Oregon Conference player of 2018. Last season, she was named best teammate by her fellow softball players, the release adds. When she's not playing, Dow also coaches youth softball in the community. In addition to athletics, Dow is involved in leadership roles, serves as the St. Helens senior class president, and is president of National Honor Society. Earlier this year, Dow was nominated and selected as one of Pamplin Media Group's Amazing Kids. The press release adds that Dow "believes her best quality is her positive attitude because it contributes to everything she does. She also thinks it helps with her leadership skills because the more positive you are the more people you positively impact!" After completing high school, Dow plans to attend college to pursue a degree in accounting. She also intends to continue playing softball.